Hey you guys! I am doing something a little different here today. Usually on PP we share finished projects/recipes/crafts/etc. and not just random thoughts or progress shots of parts of our house, but personally I like to see real time updates on big projects and how they come together, so I decided to share one of mine with you! My husband and I bought our first home (a fixer upper built in the 80’s) about 2 years ago. We’ve built a sliding barn door, some cool furniture (like this and this) and I’ve created a craft room/office for myself just to name a few. 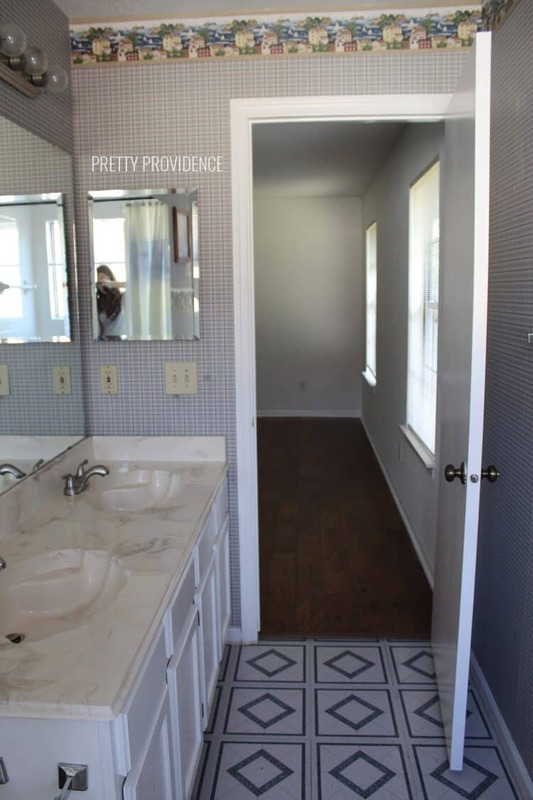 Our master bathroom was last priority on the list of things to fix up because no one ever sees it! It was also our least favorite room in the house by far. 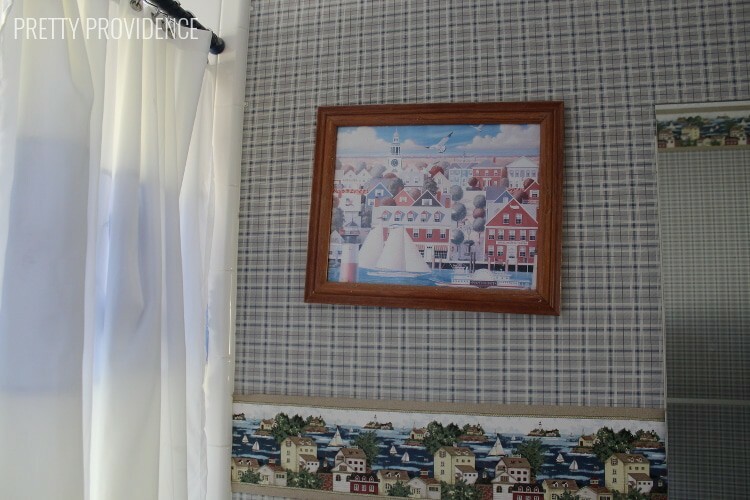 But in August this year my husband just started ripping wallpaper down one night on a whim, and the project began. It is still not finished. 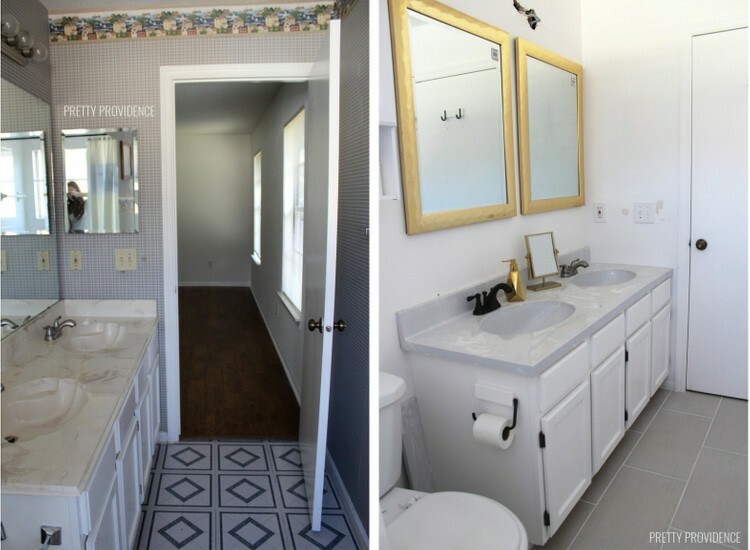 A complete DIY bathroom renovation is a beast, especially when you have a cute baby who doesn’t sleep through the night and is a wild child all day. We have spent one or two weekends a month working on it and we still aren’t finished! But huge changes have been made and I am already loving the progress. 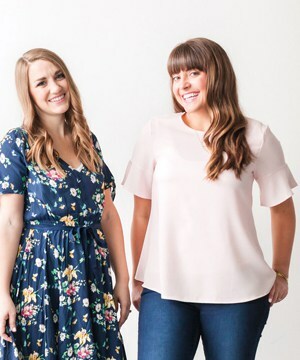 Are you ready to see some before photos? These were taken before we moved in. The view from the doorway. 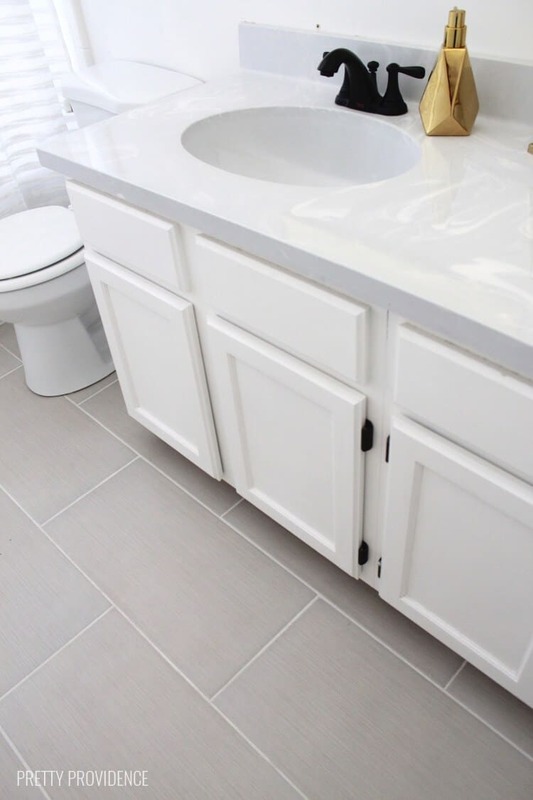 Linoleum tile meets beige tile in the toilet area, tan marbled countertop with seashell sinks, tan bath tub, blue wallpaper with sailboat pattern (keep scrolling to see a close-up.) It was the funniest room in the house – by a long shot. 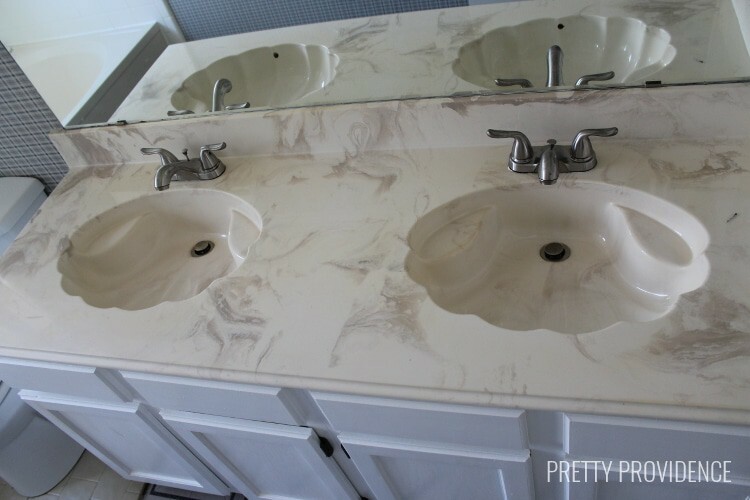 A close-up of the sinks. 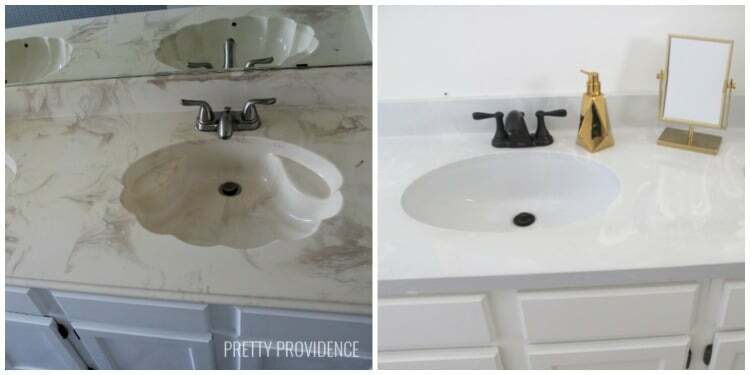 Every home in our neighborhood started out with these sinks, I’m pretty sure. Wallpaper close up and the piece of …art that was left for us. 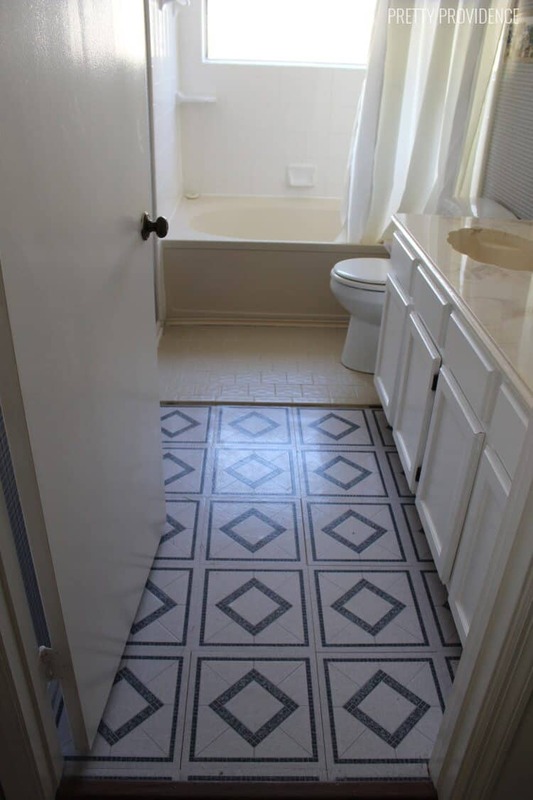 New tile – just one kind! White bathtub! New paint on the cabinets! 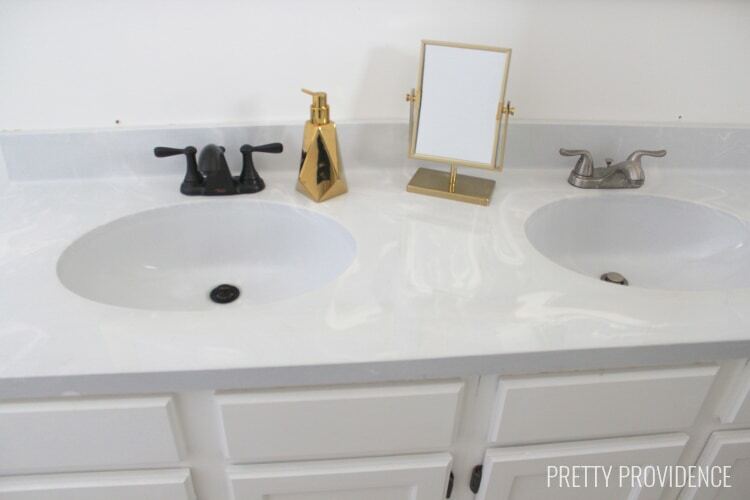 I couldn’t find the exact mirrors of my dreams within the budget but I found these gold ones at At Home for 12.50 each and couldn’t pass up the deal. I am not loving them in here, but I still don’t have anything else to put there so they stay for now. Here is just one more shot of the tile. 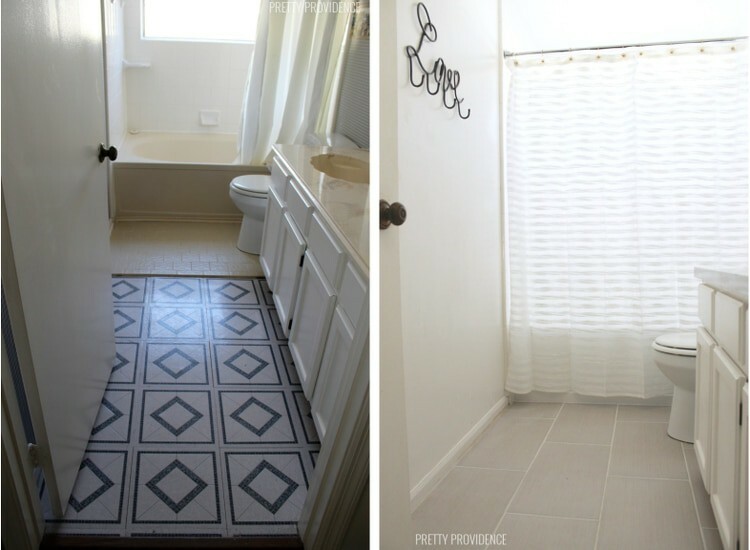 I love the tile!!! It’s from Home Depot and it’s mostly gray with a tiny bit of beige throughout. Officially called Metro Glacier. When I look at all of these I’m proud of how far we have come and we have really been able to stick to our budget pretty well. My husband has done tons of work ripping down wallpaper, repairing dry wall, removing tile, installing tile, installing the new vanity top and etc. I have mostly been the shopper, item orderer and painter. I can’t tell you how much time we’ve spent just standing in here staring and trying to decide what to do next. Haha! I guess this is why some people hire interior designers to make decisions like this. 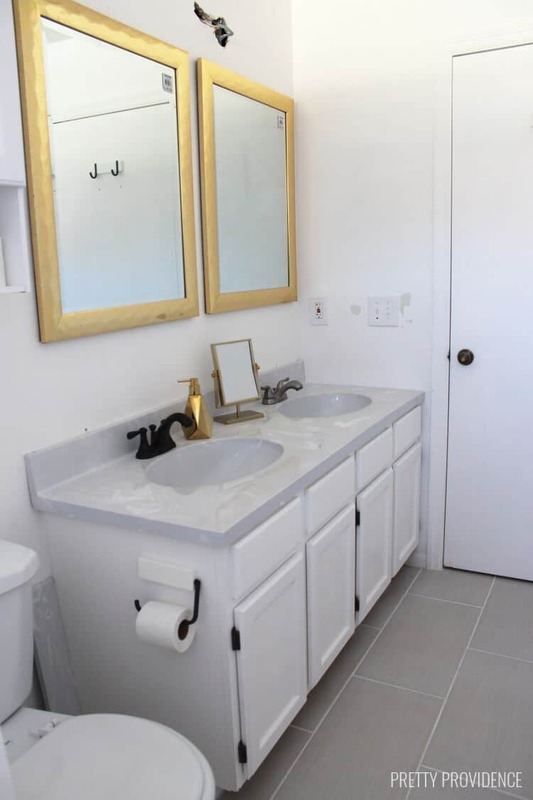 It’s so hard to choose when there are only so many options for mirrors or fixtures that fit in your price range. I thought I might want to make gold more prominent in the room but after getting the mirrors in I realized I think I like the black and white look a little better. Anyway, eventually we will finish this room and I will definitely be sharing then! 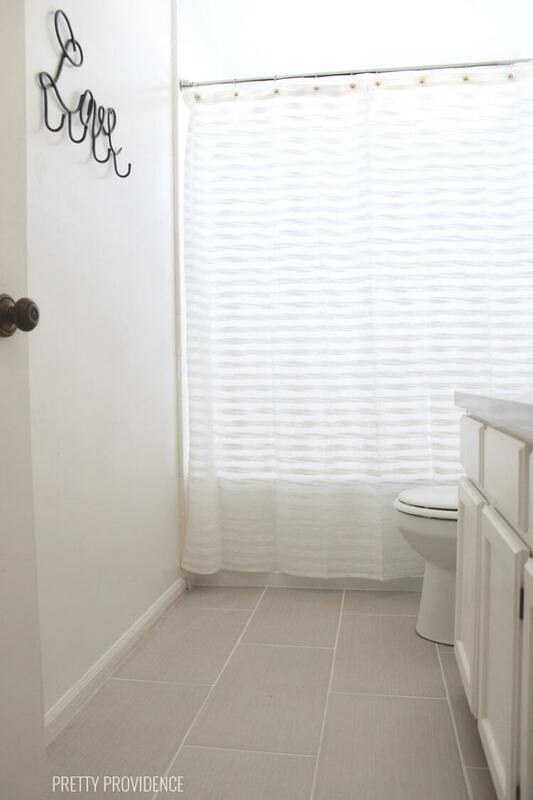 For now, this bathroom is so much better than it was before and I’m happy with it. I seriously love those mirrors! The price tag makes me love them more.